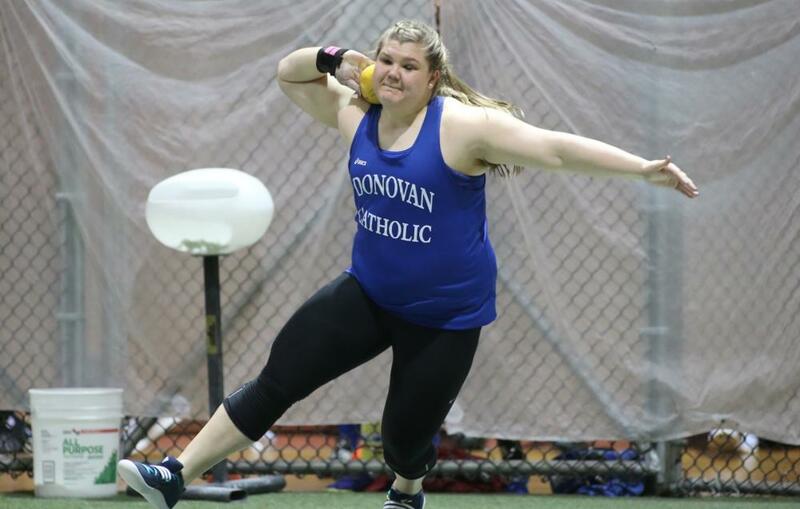 NEW YORK – Alyssa Wilson of Toms River, N.J. broke the girls’ indoor national high school shot put record Tuesday night during the Eastern States Indoor Championships at The Armory’s New Balance Track & Field Center. Wilson, a senior at Donovan Catholic High School who will be attending UCLA next year, set the record with a 57’- 5 1/2” mark, surpassing Raven Saunders (Charleston, S.C.) previous mark of 56’-7 1/2” in 2014. 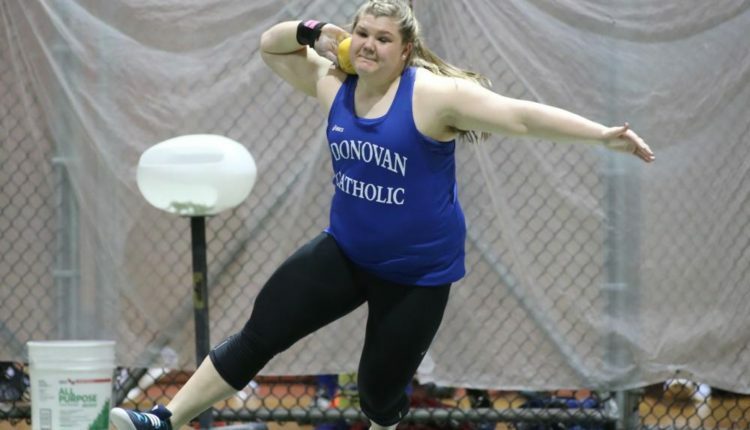 “I was a little shaky in the beginning, but I wanted to end my season strong before the New Balance Nationals and get a good throw in,” Wilson said. “I’m extremely excited that I was able to break the national record. Wilson is in exceptional company. Not only did she surpass Saunders, a 2016 Rio Olympian, but the person who held the record prior to Saunders is 2016 Olympic gold medalist Michelle Carter (Red Oak, Texas). “It’s great to be able to break (the record) and move on to the next level,” Wilson said. Wilson returns to The Armory on March 10-12 for the New Balance Nationals Indoor. Click HERE for results on the Eastern States Indoor Championships. Alyssa Wilson smashed the high school national record in the shot put with a mark of 57-5.50 at the 83rd Eastern States.